Charles Jourdan goes old school with this pair of vintage two-tone sunglasses. 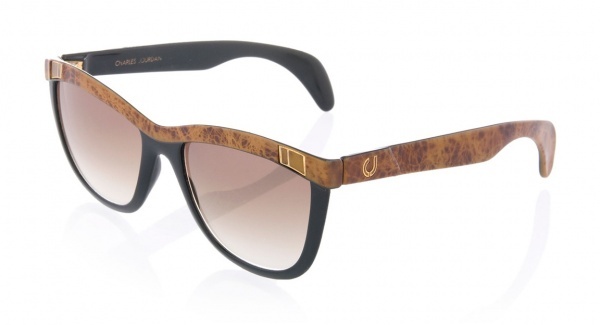 A beautiful pair of sunglasses with walnut effect along the top, the walnutcompliments the lilac colored lenses well. A great pair of warm weather sunglasses, available online now.